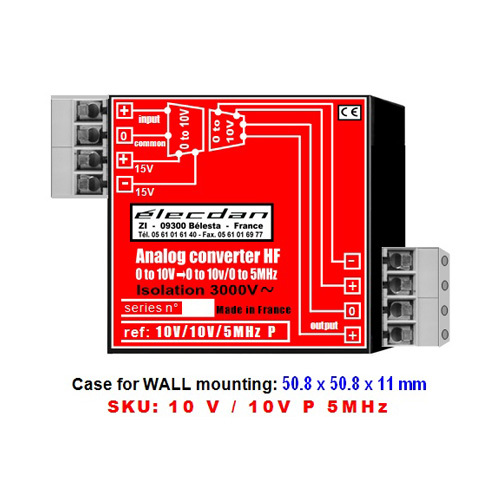 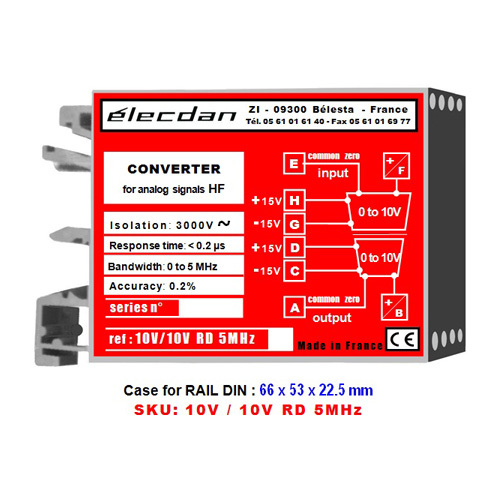 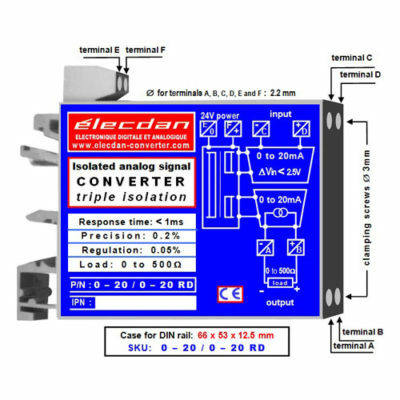 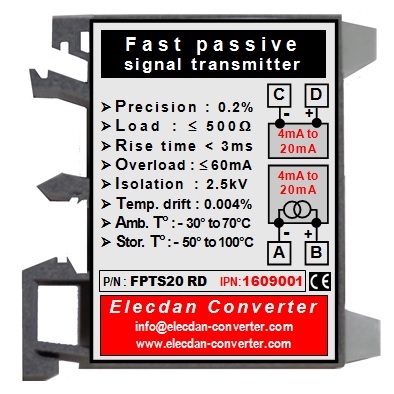 High efficiency and high security analog transmission for this high frequency converter. 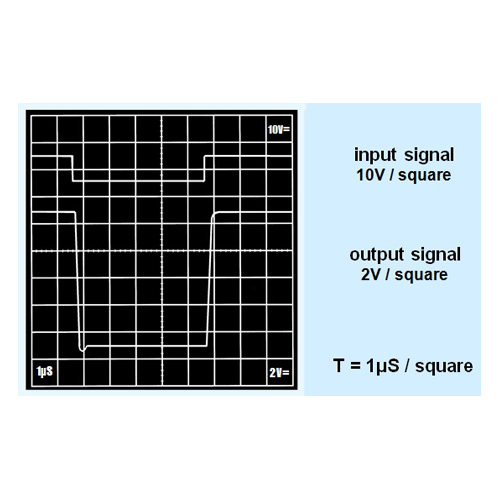 Bandwidth: 0 to 5 MHz. 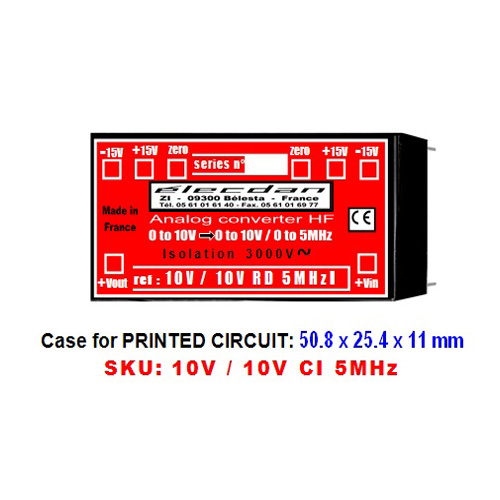 This isolated voltage-voltage converter for high frequency was initially engineered for aeronautical test equipments to be miniaturized.